In-car dashboard cameras are now a necessity. It could make / break your insurance claim, and I think every driver needs one. 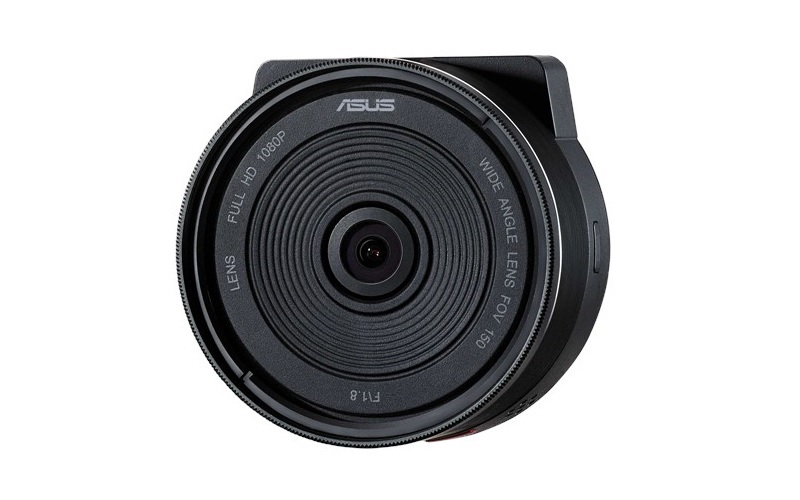 The ASUS Reco Smart is a more intelligent in car camera as the name suggests. You plug it into your car and can use it as per a normal dash cam. The included 4m long micro USB cable helps for cable management and the dash mount feels strong and secure. But to unlock the full features, download the Reco Smart app, available on both iOS and Android, and you can then connect to the camera over Wi-Fi. From there, you can preview, download, view images and videos that have been captured and configure the additional settings that ASUS offers. The Reco Smart offers a 150 degree(!) Field of View with Full HD recording. It uses a Sony sensor, which is a popular choice among the top dash camera brands, and a f/1.8 aperture lens, for improved low light performance. There’s a GPS sensor to track your whereabouts, and a three-axis G-sensor, which allows for collision detection. It would be able to start an emergency record and lock function to capture the scene. As a dash camera, it works as per expected. Start recording when the car starts, and stops when car stops. Setup was relatively easy by connecting to the WiFi (ASUS RECO) network and launching the application. Live streaming from the camera to the phone was generally smooth, but images are lower resolution to accommodate for live streaming. However, there were a number of practical aspects that were issues for me which impacted the smart functionality of the camera. 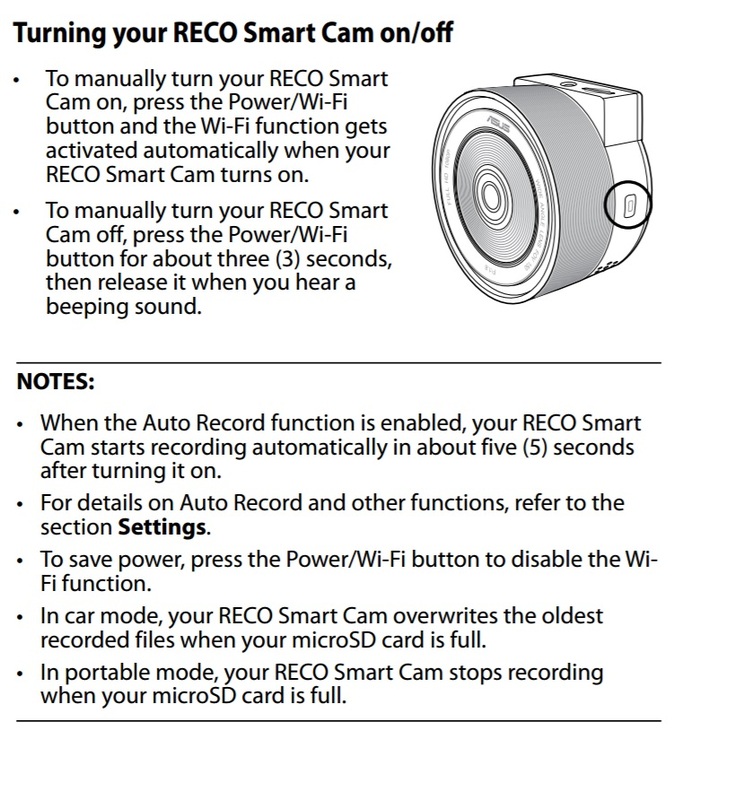 Another aspect about the Reco Smart is the ability to use it as a portable camera. Its 58mm filter ring and 1/4-inch screw mount ensures the Reco Smart’s compatibility with tripod mounts, filters, and other standard camera accessories. Here’s some of my foortage which includes using it as a portable camera. There is an inbuilt stabilizer which helps correct some of the jerky motion when used as a portable camera. Well, in terms of image / video quality, I compared it to my own dash camera – the G1W-C, which has been serving me for a good 2 years now. 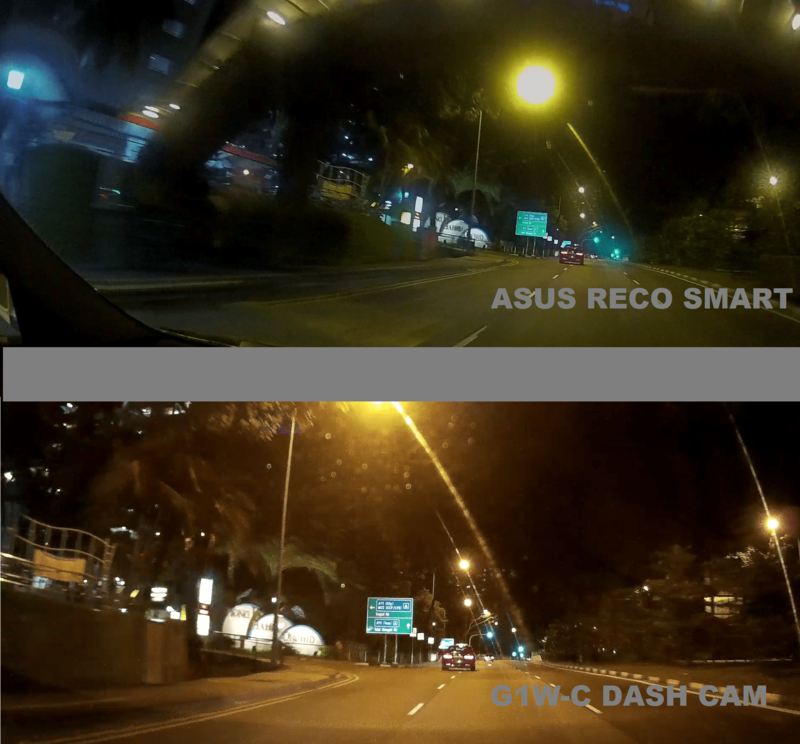 The Reco Smart looks a tad sharper, offers a bigger field of view, but otherwise, quite similar. However, for portable camera footage, it’s nothing really to shout about. As mentioned, the RECO Smart has quite a lot of features. However, most of it requires you to pair it with your phone. The requirement to connect to the ASUS RECO WiFi means my phone is disconnected from data. Not cool. There’s only a couple of buttons on the RECO Smart, but the combination of multiple leds, press and hold requirements, were difficult to use in a real world situation. It could have been improved if ASUS introduced a separate on/off toggle instead of a single combined button, why is WiFi paired with on/off anyway? I had a hard time figuring out whether it is turned off properly and often found a flat battery when testing it as a portable camera. The camera comes with inbuilt GPS on the dash mount. It is useful – it adds your lat / long coordinates at the bottom right of your recording. However, it will inform you in Chinese that the GPS signal is connected / lost, and gets a little annoying when you are travelling in / out of the multiple CTE tunnels. A software option should be added to allow disabling of the voice prompts. Collision detection (especially when the car is parked) is useful. However, when I parked, the camera will auto off when power is disconnected. You would then need to turn on the camera after you park your car if you want to enable the collision detection function. WiFi would then turn on as well, and you would have to press the button again to turn off WiFi in order to conserve battery. There’s another motion sensor but that records and tracks motion in front of your camera. That might work, but I don’t really need to record people walking in front of my car. As a normal dash camera, it works as required. But there are so many dash cameras in the market and the reason to get this would be well, for it’s added functionality. However, at it’s current implementation, using this dash camera is a little convoluted and not really practical in application.